This past weekend, Dan and I hosted a brunch for his parents. 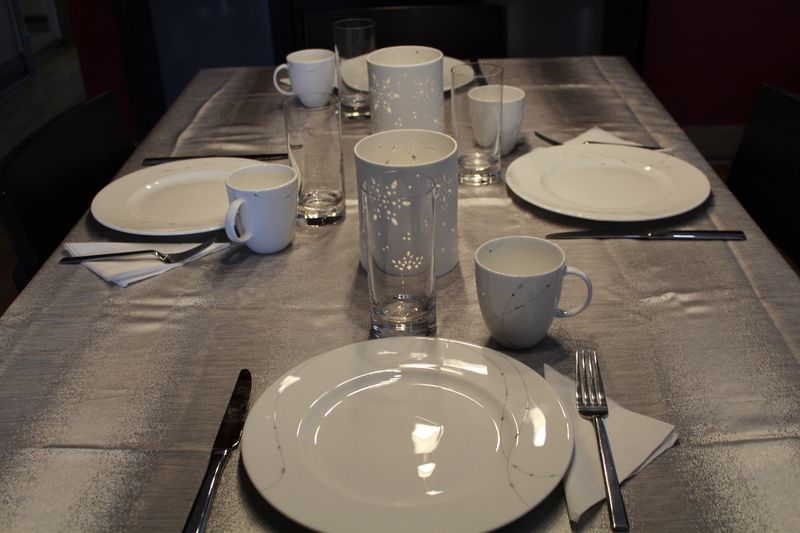 I went with a silver-toned tablecloth and simple, porcelain white hurricanes with snowflake cutouts. The white plates with grey dots went well. As for the menu, we started out with some banana pancake stack appetizers. 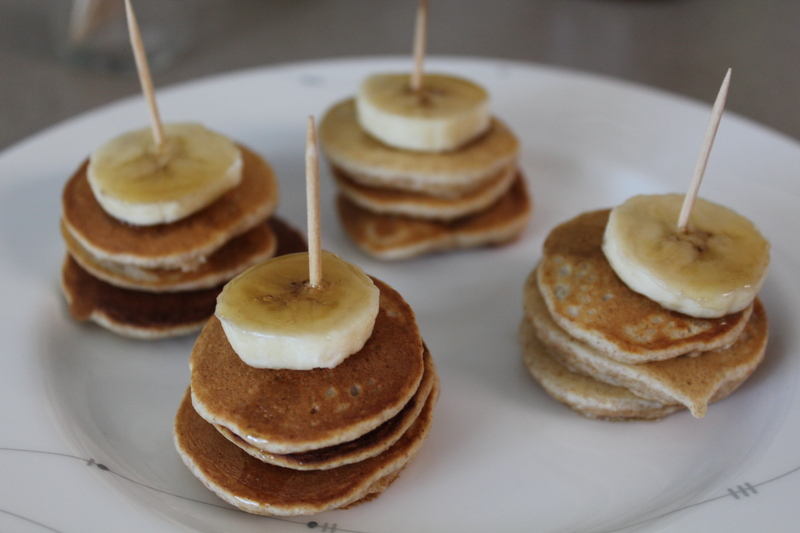 Those are banana pancakes with a little banana slice as a garnish, held together by a toothpick, and drizzled in maple syrup. We were glad to have them, as we munched on those while we make the main dish of egg cups and house potatoes. Unless you’re making a casserole or something else coming out of the oven, you’ll want to make your egg dishes very close to the time of serving, so they don’t get cold. Because of this, we felt appetizers would work well in getting the timing correct. Along with the appetizers, we also had a constant supply of mimosas. For a fun twist, we bought orange juice mixed with mango juice. I loved this new type of mimosa and won’t go back to using just plan OJ anymore. To finish, we served skinny mini chocolate chip scones. Of course, I took no other photos during the brunch, so you’ll have to use your imagination. And there went the first event we hosted in the new year. Here’s to many more great gatherings to come!